Time to up your Insta game! 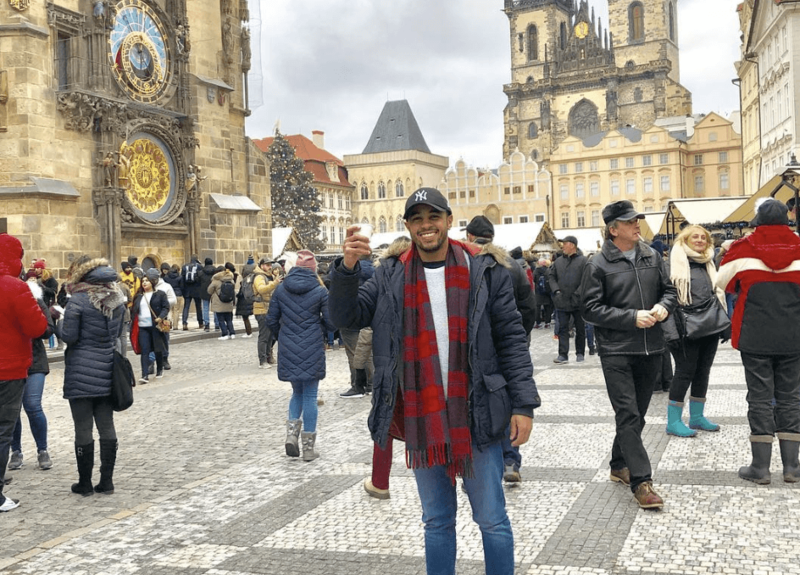 Heading to Prague soon? You’ll certainly want to take some pictures of the beautiful city to show off to all your friends back home! But where can you take the best pictures? 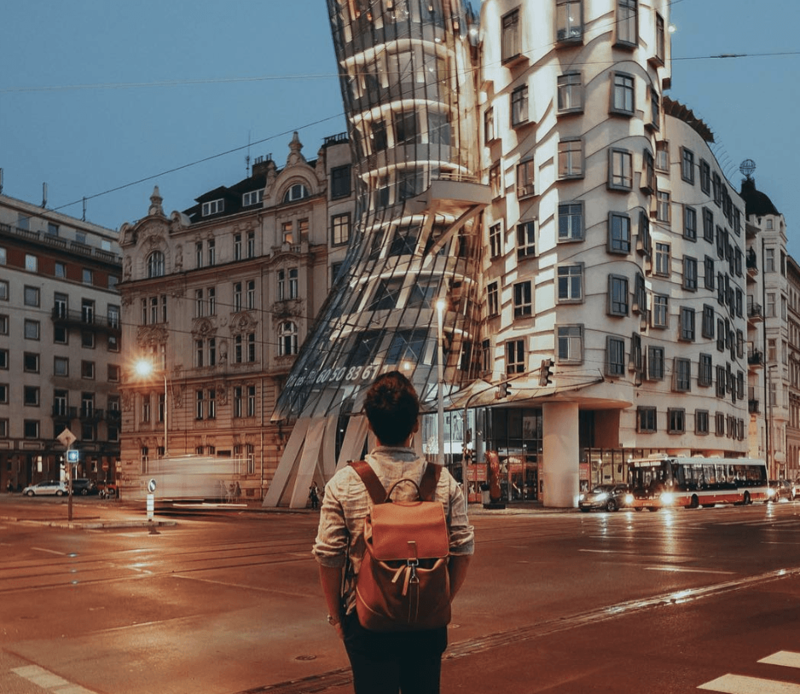 Luckily for you, we have comprised a list of the best Instagram spots in Prague! 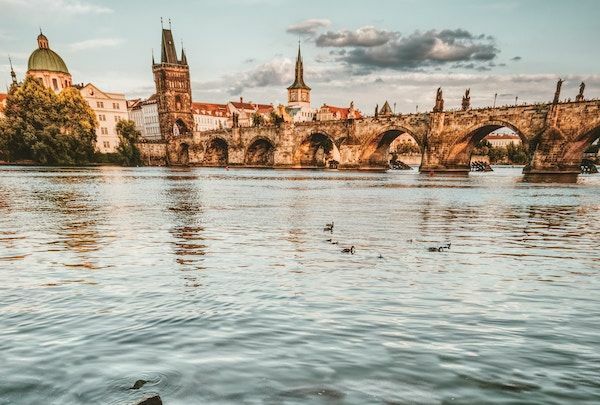 Read on to find all the great spots in Prague to take the best pictures! We’ve also included specialised Instagram tips to make sure your picture is amazing! This magnificent medieval themed bridge will definitely stand out on your Instagram feed and will definitely wow all your followers! Firstly, you can to avoid rush hour so you can get a picture of the bridge in its true nature rather than crowded with tourists. Secondly, you’ll be able to get the sunrise in your picture! The sun rises slightly later in winter so you won’t have to wake up super early to get it in your picture! 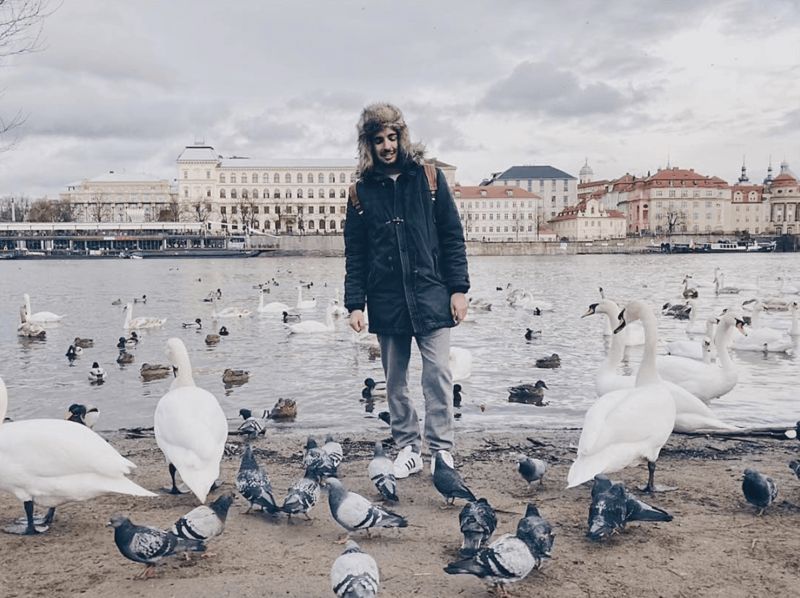 On the west side of Charles Bridge, you’ll find a small park where you can see the Swans of the Vltava River. If the weather and season are perfect the more swans there are! The beautiful creatures will be the perfect backdrop to your Instagram pictures! To get the best pics head over just before sunset to get the most swans in your picture! The Dancing House has become a very iconic structure in Prague. Grabbing a picture with this will have your followers taking a double look at the amazing structure. They’ll certainly leave comments wondering where this structure is! It is best to go when the area is not as busy with cars as that way you can get the full structure in your picture! Also when its late in the afternoon/nighttime, the lights will come on adding to the Dancing House’s beauty. 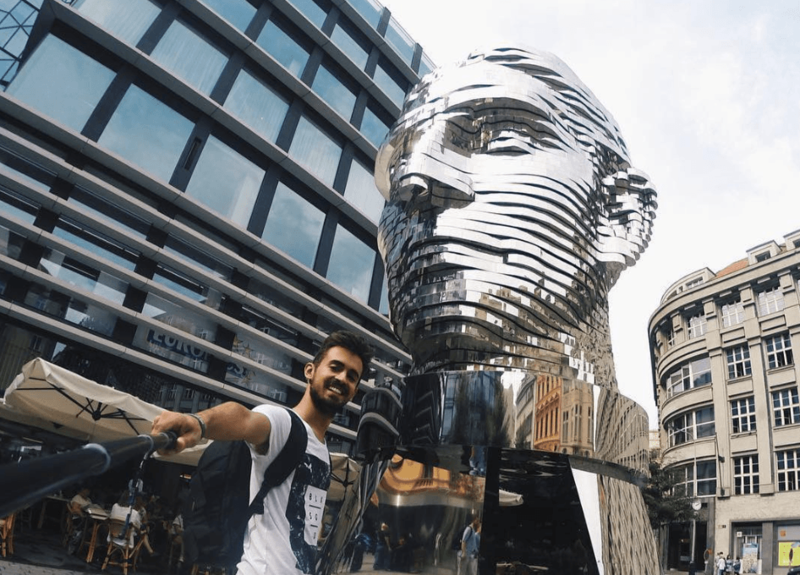 This amazing monument of Franz Kafka is perfect to show your followers how cool Prague is! The best part of this structure is that the whole thing is built out of layers which rotate throughout the day! So not only can you get an amazing picture of the structure but also a video of it rotating! Be sure to get a time lapse of the whole rotation of the Franz Kafka head! Who doesn’t love a castle! Prague’s castle offers two variations of photos. If you’re looking for the best city views be sure to head up to the top of the caste. 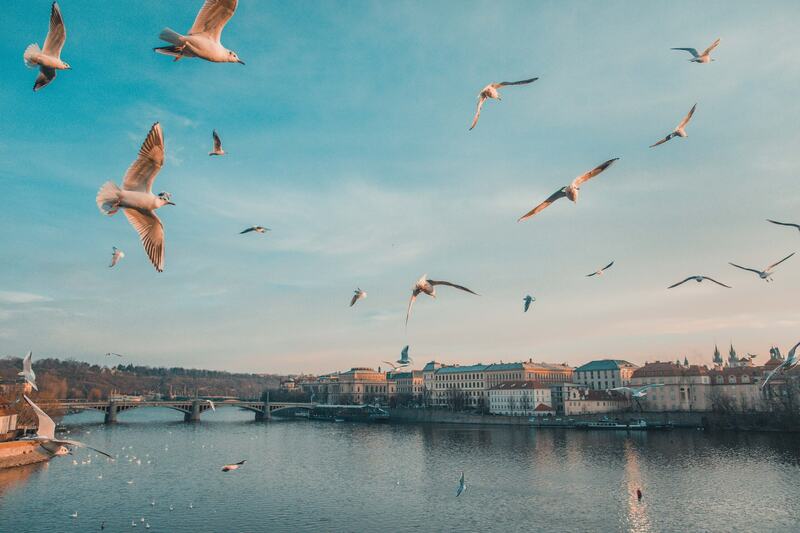 You will have the best view of Prague and be able to grab the best picture of the city. However, if you’re looking for a really good backdrop then the castle itself is the one! It also holds the Guinness World Record for being the largest ancient castle in the world! The Astronomical Clock is a medievally inspired clock and is also the worlds 3rd oldest clock that still operates! Whilst it still gives a vast amount astronomical information it serves to be a great background to your photos! Be sure to get there on the hour because then you can get a video of the Astronomical Clock chime! If you love colour then you’ll love this! 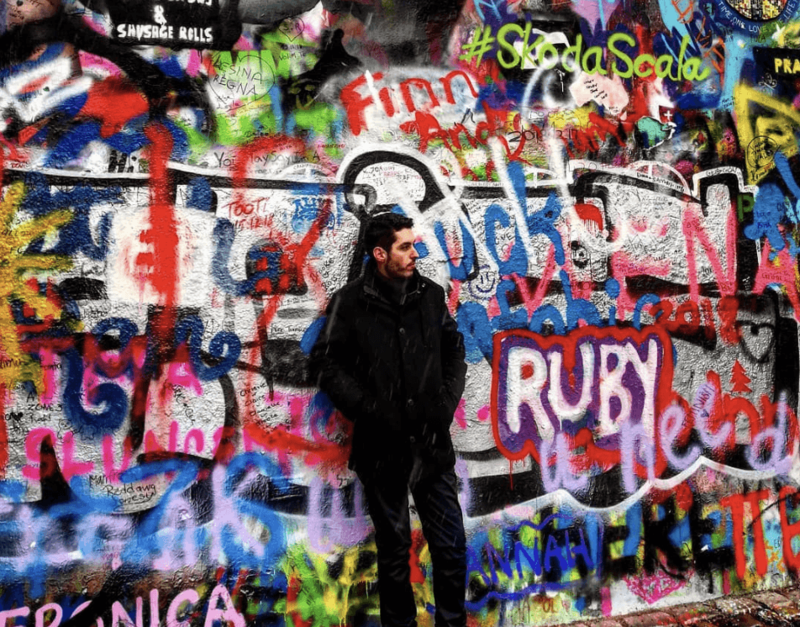 The John Lennon wall is a wall in Prague that is covered in Beatle’s inspired graffiti. The whole wall is covered in graffiti and the content on the wall changes very frequently. This serves as the perfect backdrop for your Instagram pictures and will give your pictures a different edge! We recommend arriving as early as possible to ensure you get photos without anyone else in them as this is a very popular tourist destination.